Robert Alden Rubin is a talented writer. He writes fluidly, sometimes lyrically, and always with the competence of a professional. His writing style seems to aspire to what writers call 'literary' prose. An author whose writing has literary quality is one who could write about a toilet plunger and keep the reader enthralled. The interest is in the fresh turn of phrase, the crafting of simple ideas into vivid experiences that jump off the page, the music and flow of the sentences, the emotional vice grip of the story. 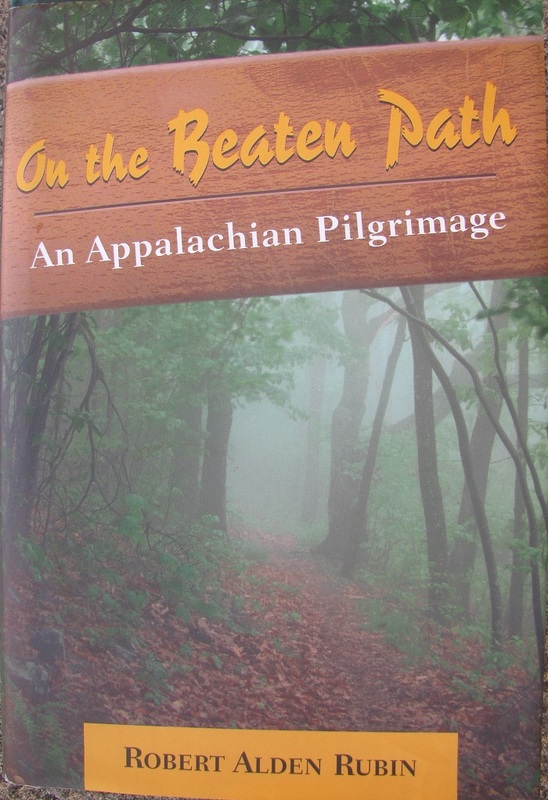 Does an Appalachian Trail hike memoir lend itself to literary prose? Rubin thought he'd give it a try. Here's the background. Robert Alden Rubin is a professional in the writing industry. He holds creative writing degrees from two colleges. He worked as an editor for a national trade publisher. He has edited a National Best Seller. But his editing job was becoming increasingly unsatisfying to him--even burdensome. It appears he was having trouble keeping up with the demands and pressures of his responsibilities. Maybe it was just a mid-life crisis, or maybe he had come up against his personal limit of competence. Or maybe the routine was just beginning to bore him. Whatever the reason, Rubin decided to quit his editing job and hike the Appalachian Trail--to embark on what he describes as a personal pilgrimage. And not surprisingly he wrote a book about it. The pilgrimage theme is Rubin's attempt at encasing the story in a single narrative arc. Yet by his own admission, he could never quite put his finger on what the object of that pilgrimage was supposed to be. It's not like the Hajj, where personal and community meaning is created, clarified, affirmed, and reinforced in a time-honored crescendo of spiritual energy. The AT is no Mecca, and Katahdin is no Ka'aba. The Appalachian Trail pilgrims have as many diverse reasons for making the journey as there are religions. Even on a personal level, Rubin confesses that the process of hiking doesn't lend itself to deep reflection and doesn't lead to any personal clarity. Instead it effectively forces the hiker to set aside the personal quest for the meaning of 'real life' in favor of the trail-life's much more elemental daily struggle to overcome pain, cold, hunger, thirst and exhaustion. So the over-riding narrative arc of Rubin's story comes off as less than compelling - no vice-grip here. One of the things Rubin does relatively effectively (for a male) is to invite the reader into his emotional inner workings and the turmoil that is there. Rubin knows he is hurting his wife with his irresponsible decision to quit his job and then to physically abandon her in favor of the trail. But he just hurts too much inside to do otherwise--he has to get away. He never goes so far as to say he 'needs some space', and maybe that's my cliched interpretation, but in any case, he makes abundantly clear that he loves and misses his wife but is not willing to abandon his pilgrimage. Yet even here the emotional arc is less than riveting. Rubin and his wife have no falling out. She travels to visit him throughout the journey and he reveals that she has a good government job at which she is excelling. By the end of the book, when he has returned home but has failed to find a new job after seven months, I began to question whether he was little more than a freeloader in the relationship. So in the end, the emotional narrative doesn't endear the reader or inspire any empathy - no vice-grip here either. On a chapter-by-chapter level Rubin alternates between direct description of his hike and a series of passages that encompass a 'bigger picture'. Many of these passages describe the psychological or cultural backdrop of the hiking experience, a few are flashbacks to his life before the trail, and many more are intended to add historical and physical context to his hike, describing the setting. There are passages about the Civil War as related to Harper's Ferry and the Mason-Dixon line, about Walt Whitman and Thoreau, about geology and the Appalachian 'Great Valley,' etc. These serve to add spice to the telling of his tale, and each such vignette is very well written. But the net effect of these digressions does not depend on the quality of the prose; and to me the fact that he goes to great effort to write them in a literary style only distracts. These passages tend to draw attention to themselves rather than blend into the story. I asked above: "Does an Appalachian Trail hike memoir lend itself to literary prose?" The answer seems to be "no". Bottom line: 'On the Beaten Path' is a good quality book about hiking the Appalachian Trail, and the author's skill at writing prose is abundantly evident. But the disconnect between these two elements makes the whole, in this case, a little less than the sum of its parts.